CINCINNATI -- Get ready to sing your heart out, Queen City. Tokyo Kitty, a Japanese-style karaoke bar, will open at 575 Race St., inside Downtown's 84.51 Building, at 5 p.m. Friday. The karaoke bar, which will be open 5 p.m.-2 a.m. daily, features a dance floor with an elevated DJ booth, a well-stocked craft cocktail bar, seven private karaoke rooms available to rent and a robotic drink delivery system concealed above the bar's ceiling. The concept is the brainchild of Gorilla Cinema owner Jacob Trevino, who also owns the Quentin Tarantino-inspired speakeasy Video Archive in Walnut Hills and the Overlook Lodge, an homage to "The Shining," in Pleasant Ridge. Trevino said he drew inspiration for Tokyo Kitty from "Lost in Translation" and his own visits to karaoke bars while at college in Houston. "It was really inspired by the movie 'Lost in Translation,' where you have this scene where two people are really connected through music," Trevino said. "And when I lived in Houston, my friends would take me to these k-box karaoke places. We'd go there and sing our hearts out, so we wanted to bring that experience to life in Cincinnati." When patrons enter the bar, they will be greeted by a host standing inside what looks like a pristine-white airport lobby lined with seats and tourism posters of Japan. 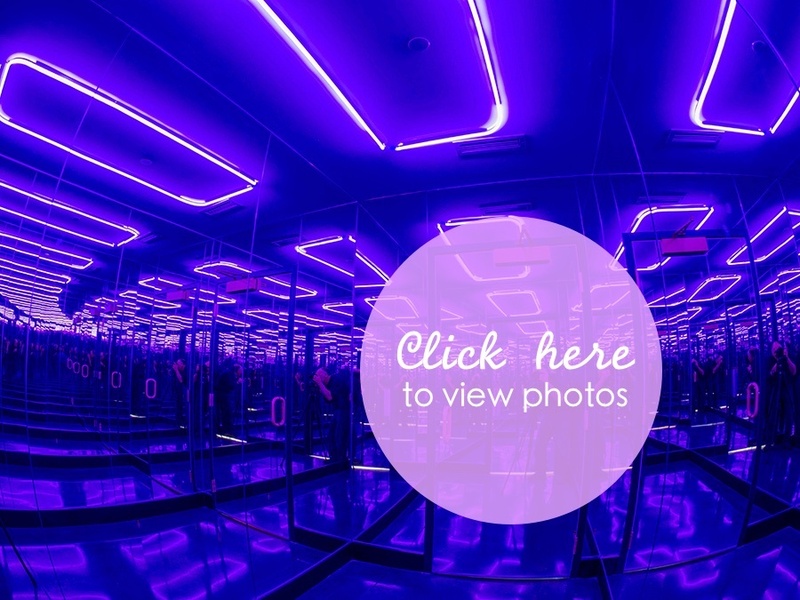 Guests then will be ushered through another door that opens to a hall of mirrors with changing neon lights; it connects to Tokyo Kitty's dance floor and bar. The bar and dance floor features ceiling details trimmed in more color-changing lights along with two big-screen televisions. One TV plays Japanese movies and still images of Tokyo on a loop. The other is a karaoke screen controlled by a DJ who stands on a slightly elevated platform. The bar will feature sake and sake-based cocktails, other Japanese-inspired drinks and multiple beers on tap. Trevino said people will be able to sing from a curated karaoke playlist in the bar area seven days a week. A rotating lineup of local, regional and national DJs will perform from 10 p.m. to 2 a.m. Thursday through Saturday. Guests will have full control of Tokyo Kitty's karaoke playlist in any of the private rooms, which can be rented by the hour. The smallest room accommodates three to six people, and the largest room can handle about 12 to 18 people, Trevino said. Each room is decorated with a different Japanese pop culture theme, seating and all the necessary karaoke equipment. The rooms' doors have windows, and rooms are equipped with small cameras to make sure no one gets too crazy, Trevino said. The true centerpiece of the karaoke rooms, though, is Bbot , the automated robotic drink delivery system. Bbot descends with a tray of cocktails tethered to a cord from a hole in the ceiling of each room. People have 30 seconds to grab their drinks before Bbot ascends and returns to the bar to make another delivery along its suspended track. Trevino said the San Francisco-based company that makes Bbot uses proprietary technology to stabilize trays of drinks to prevent spilling as it glides along its track. The Bbot system also allows people to order drinks from their smartphones after they connect to Tokyo Kitty's free Wi-Fi. "We want to be the best karaoke bar in the country," Trevino said. Rental rates Sunday through Thursday: small room: $20/hour; medium room: $30/hour; large room: $40/hour. Hourly rates for each room increase $10 per hour Friday and Saturday. Reserve rooms at www.thattokyobar.com .